Amtrak Cascades Train 501 crashed at DuPont, Washington State, on December 18, 2017. This was the first run on the Point Defiance Bypass, a new rail route close to Tacoma, Washington. The new bypass route was intended to shorten travel time by separating passenger and freight traffic. Instead, the derailment resulted in several hours delay, as well as three fatalities and a hundred injuries. The public transit derailed as it approached a bridge near Interstate 5. The lead cars crushed a number of automobiles as it hit the freeway. The data recorder onboard showed that the train was traveling 78 miles per hour when the accident occurred, almost 50 miles faster than the posted 30 mile speed limit. Witness reports also claim that engineers had voiced concern that the train was going too fast and that they should hit the brakes. Six seconds later, the train jumped the tracks and entered the Interstate Highway. Conductors and engineers usually train on the new route to familiarize themselves with its landmarks and speed limits. Although Amtrak had conducted some of those exercises on the new Point Defiance Bypass route, a number of Amtrak workers had expressed concern about the sufficiency of the drills prior to the accident. The training exercises had reportedly been quite flawed: engineers were largely kept in a single car in the back during the training, some of the trial runs were conducted after midnight when visibility was low, and that supervisors were unavailable or unwilling to answer questions about safety concerns. Amtrak claims that its training exceeds federal standards, but would not comment further until state and federal investigations were concluded. What Kind of Legal Claims Could Amtrak Face? Although the investigation is ongoing, the initial reports indicate that its employees and supervisors were negligent in some capacity. As owners and couriers, Amtrak owes a duty to its passengers to keep them safe. Going 50 miles over the speed limit and conducting training sessions that were inadequate is a clear breach of that duty. Amtrak might argue that its familiarize exercises were well over those mandated by federal law, but going that far over the speed limit is a clear indication that someone had failed at their job. A reasonable person could foresee that going 50 miles over the speed limit when making a turn onto a bridge would result in an accident. But for that violation of the law, those three passengers would still be alive, and everyone injured onboard the train would be fine. The drivers who were injured on the highway would also have standing to sue Amtrak and its employees. The biggest difference is that Amtrak does not have a special duty to those drivers. The passengers are Amtrak’s guests and the passengers pay Amtrak to transport them safely to their destination. Amtrak has no such special responsibility to those on the freeway. On the other hand, Amtrak does owe a general duty to the public. As a public service and as an operator of dangerous machinery (a train fell on the freeway!! ), Amtrak has a responsibility to the public in general to operate carefully. If a truck carrying gasoline ran off a bridge and fell onto the cars below, the truck company would be liable for any damage the truck caused. There’s no reason that Amtrak should not have the same duty to the public at large. Is There a Damage Cap? However, even if the victims prevailed at trial, their damages and recovery would be limited to $295 million. 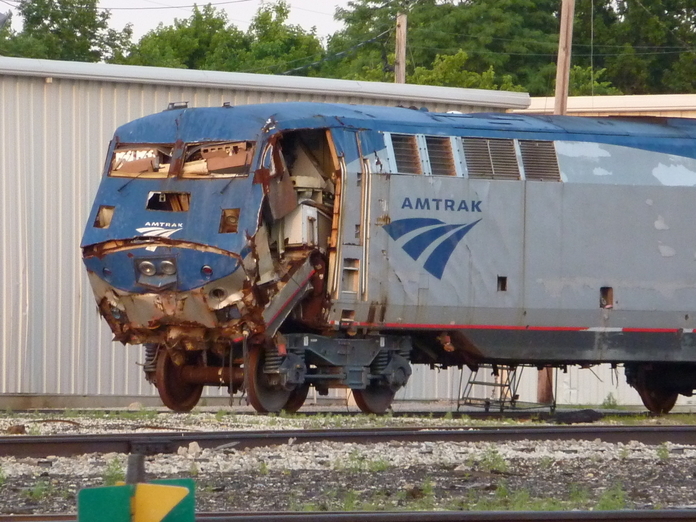 The 1997 Amtrak Recovery and Reform Act originally limited damages to $200 million. The cap was raised in 2015 to its current amount. The damage cap will lead to a race to the courthouse to ensure that a victim can get his or her share. The latest crash at the end of this year will likely renew debates on whether damage caps are necessary. Amtrak is partially funded by state and federal governments, but operates as a for-profit corporation. State actors are often shielded from liability so that the state can operate without political harassment. Private corporations have no such shield though. Giving certain companies such protections is a type of crony capitalism that politicians on both sides of the aisle have railed against. In cases like this, such damage caps are devastating. $295 million cannot make up for three wrongful deaths and hundreds of injuries. This doesn’t even count the money required to remove the train from the highway and the property damage done to all the automobiles below. The 1997 Amtrak Recovery and Reform Act might be useful to stop certain frivolous lawsuits such as hot coffee spills. In train derailments like this though, such damage caps are an injustice to the victims both on the train and on the freeway. « Arguments Heard in LGBT Rights Case: Will the Supreme Court Take the Cake?